As you approach the Western Wall in Jerusalem, you are coming upon the last remnant of second Temple, the most sacred site in Judaism. 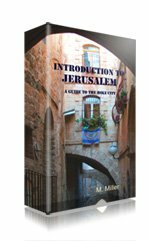 When the Romans destroyed the second Temple in the year 70 CE and razed the city (and much of the country), one of the few things to remain was the Western Wall in Jerusalem. Before you is a wide open plaza facing a high wall of stone. At any hour of the day or night you will find dozens, at times hundreds, of people praying here, their heads bowed against the aged stones worn smooth from centuries of hopes and sorrows. It isn’t unusual to see a bride in her gown and veil, with her whole joyous entourage of family and friends, stop here on the way to the wedding to pray, while not far away, another person may be sobbing their heart out over a personal tragedy. The gamut of deeply felt emotions here is enough to touch anyone. An especially moving time to come here is late at night, when the wall seems to glow with quiet comfort. Around midnight, the book of psalms is recited aloud and a special peace seems to reign. But everyone has their favorite time – I know a busy mother of a large family who has been coming to the wall at 4:30 a.m. every morning for years. 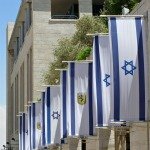 The thing is – when it comes to the western wall in Jerusalem - she isn’t all that unusual! 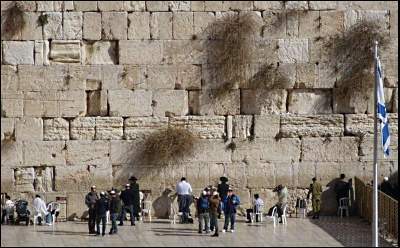 During the holidays of Passover and Sukkot, the priestly blessing recited at the wall draws thousands of people - be prepared for massive crowds if that's when you plan to visit. You’ll find tables piled with worn prayer books in many languages, but most people approach the wall and whisper their own words. The 187 feet (57 meters) of the wall that you see is only a small part of the western restraining wall Herod built around the Temple mount. The western wall is actually 1600 feet (488 meters) long. There are a few more meters of it visible in the Ophel Archaeological Garden to the right of the plaza. The rest of the wall runs to the left of the plaza, hidden under the buildings of the Muslim quarter. To see this part of the wall, you have to take a tour of the western wall tunnels, where you can walk along most of the rest of the wall. 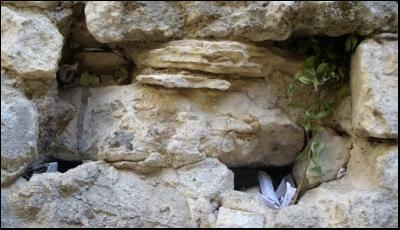 There is also one more small section of the wall visible in a tiny alley deep in the Muslim quarter. This section is known as the Little Wall (Hakotel Hakatan in Hebrew). Prayer here can be a very different, intimate experience than it is at the Western Wall. 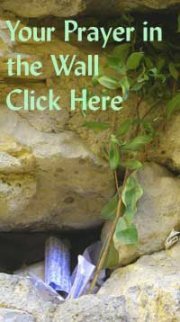 Why Is the Western Wall in Jerusalem Holy? 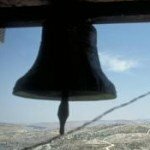 Kabbala, Jewish mystic tradition, teaches that the prayers said by any one, all round the word, ascend to heaven from the western wall in Jerusalem. 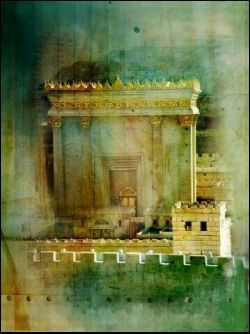 Jewish tradition tells us that when the Temple was destroyed, all the Gates of Heaven were shut, but one. The only gate to remain open: the Gate of Tears. 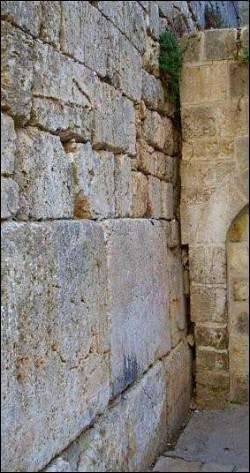 So for thousands of years, people have come to pour out their hearts and their tears at this wall. 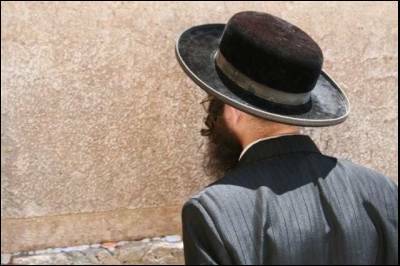 This is why you’ll often hear it called the Wailing Wall in Jerusalem. There are “washing stations” around the plaza. These are fountains where people ritually wash their hands before praying at the wall. It is considered a sign of disrespect to turn your back on the wall. This explains why you’ll see people backing away from the wall (occasionally looking over their shoulder to avoid bumping into you), until they are about half-way up the plaza. It is propitious to give charity before praying. Beggars know this and therefore congregate at the western wall in Jerusalem. Many people feel offended at being “bothered” by beggars at such a holy site, when they are about to go pray. What they don’t realize is that the beggars are giving you an opportunity to give your prayers a heads up – God may be more likely to heed our prayers if we, too, listen to those of others. And, in fact, several of the long-time charity collectors at the wall are not begging for themselves but for poor brides and destitute families. As you approach the western wall in Jerusalem, you are entering a holy place where proper respect is expected. The plaza before the wall is separated in two, once side for women, one for men. Please head to the appropriate area from which to approach the wall. Men should cover their heads. 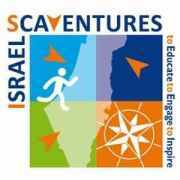 Plan ahead and bring a yarmulke, cap or sunhat. Women and men should dress modestly. 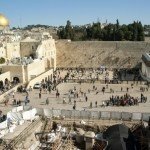 (What's "modest" at Jerusalem holy sites? Click here to find out. ) During high tourist seasons, female attendants may hand out wrap-around skirts to visitors who need them. Although they may be a bit intimidating, it's up to you whether to take one or not. 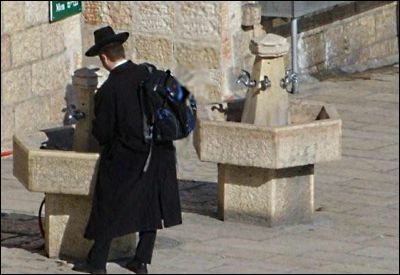 So as not to disturb people’s prayers, please silence cell phones before reaching the Kotel area. Do not take photographs of the area on the Sabbath (Friday night to Saturday night). There are public restrooms at the north end of the plaza (to your left as you face the Wall) and near the exit gates (to the far right, as you face the Wall).